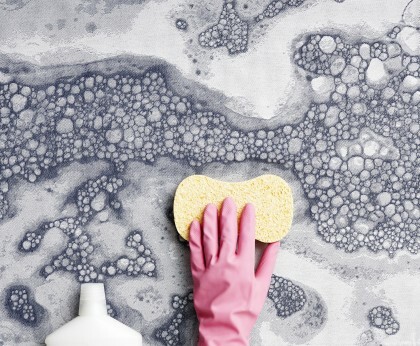 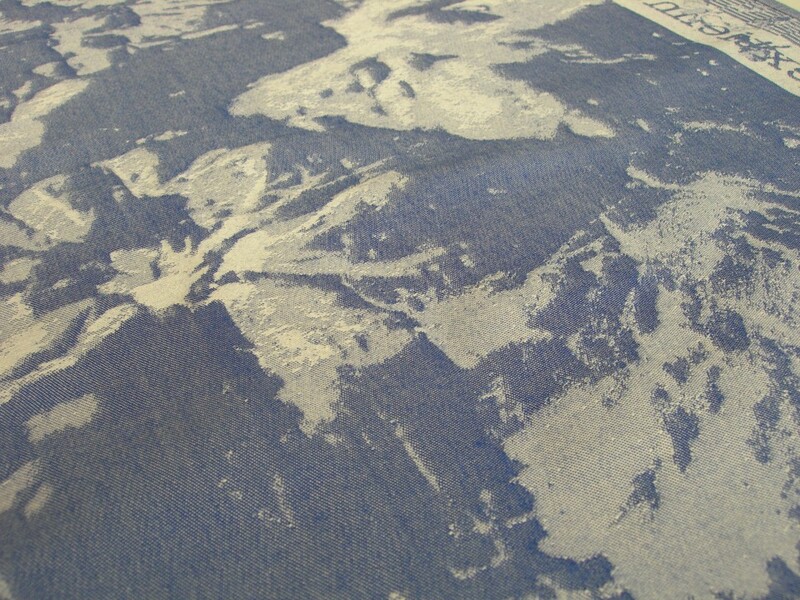 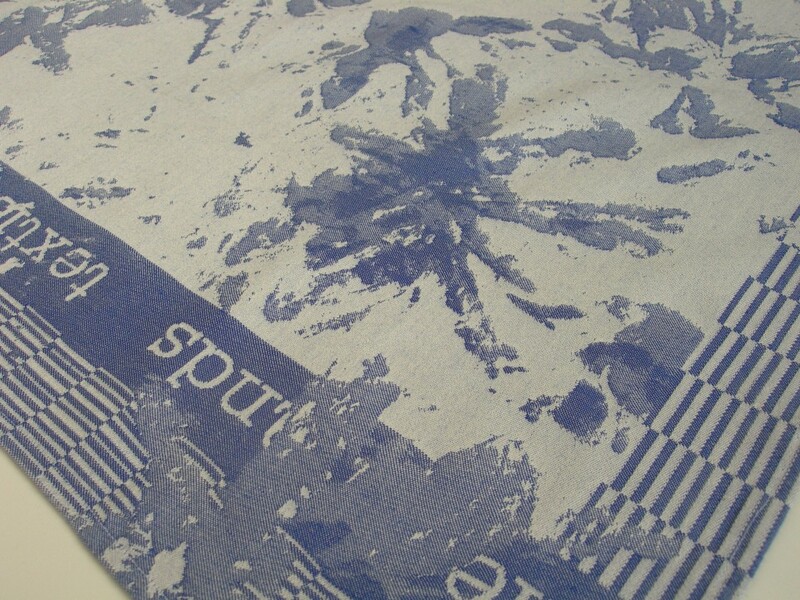 These tea towels show what happens when drying the dishes. 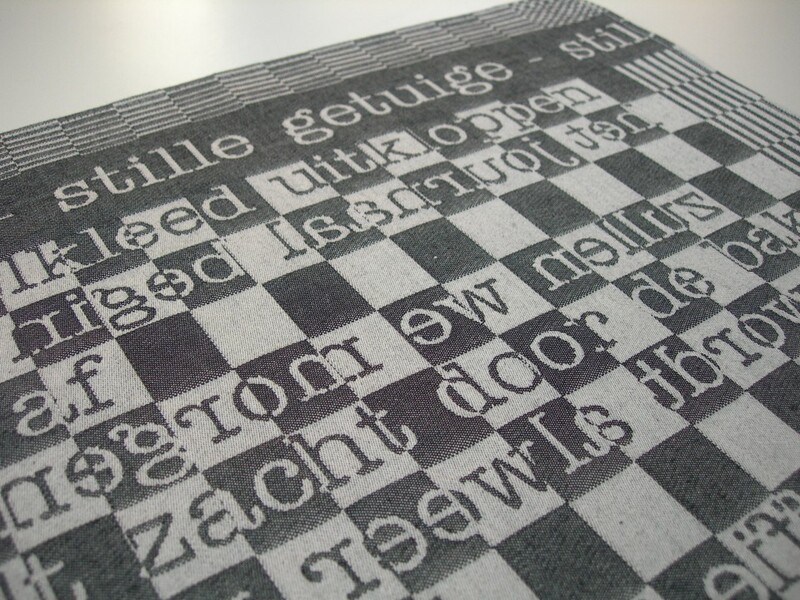 Traditional Dutch tea towels are decorated with a two-tone pattern of small squares. 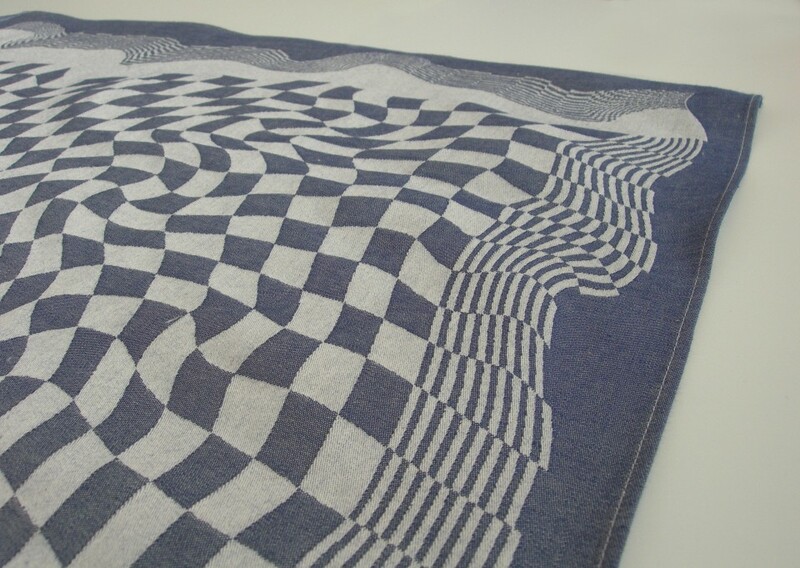 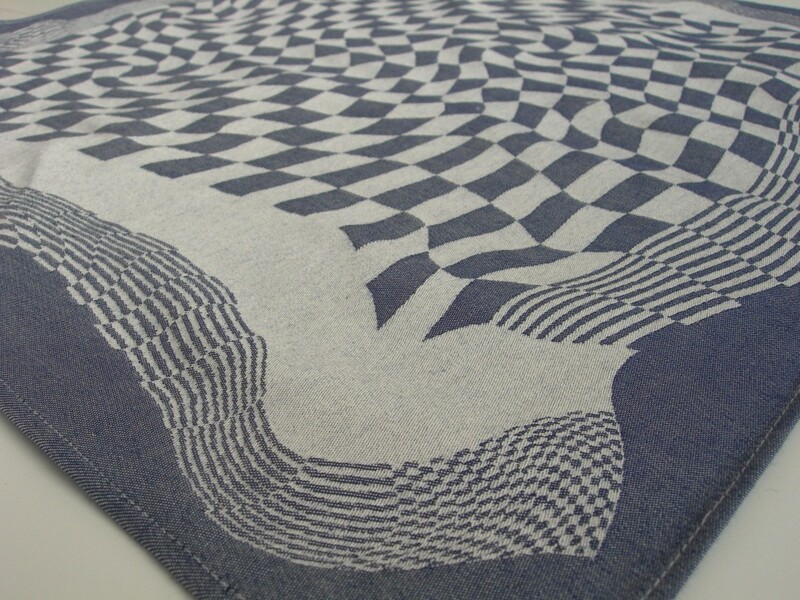 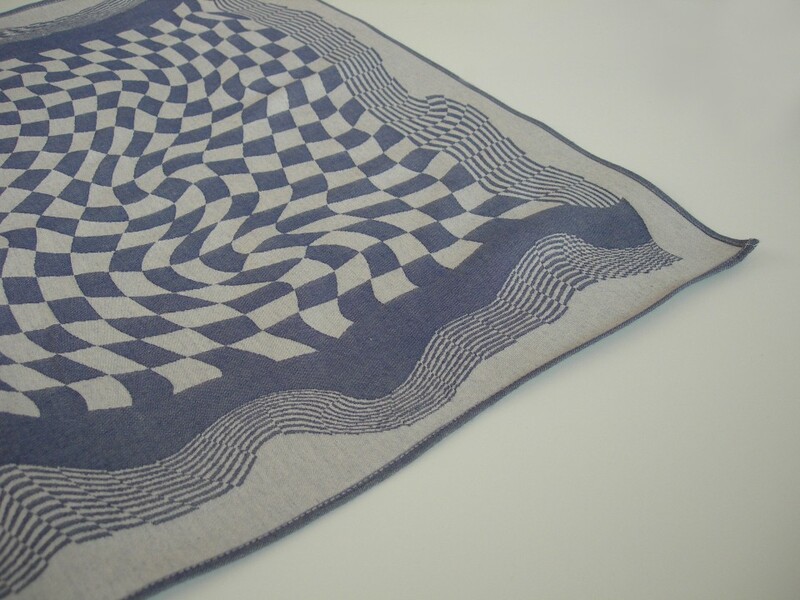 The tea towel ‘twisted’ is formed by twisting the squares in the same pattern as the movement made when drying dishes. 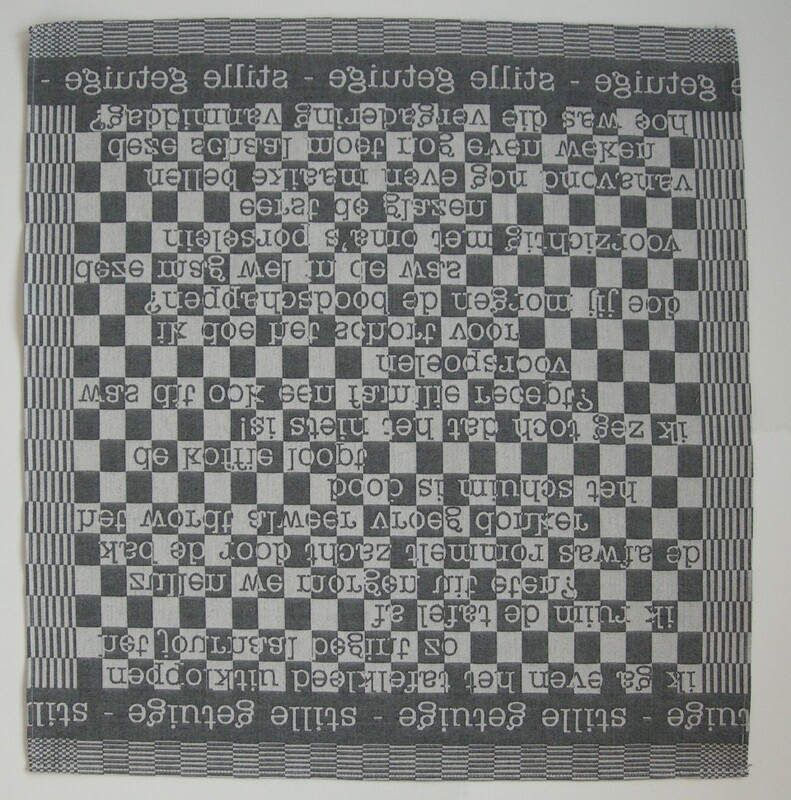 The ‘silent witness’ is a tea towel that has soaked up a conversation between two people who did the dishes together; the sentences have remained and you can read them on both sides of the towel. 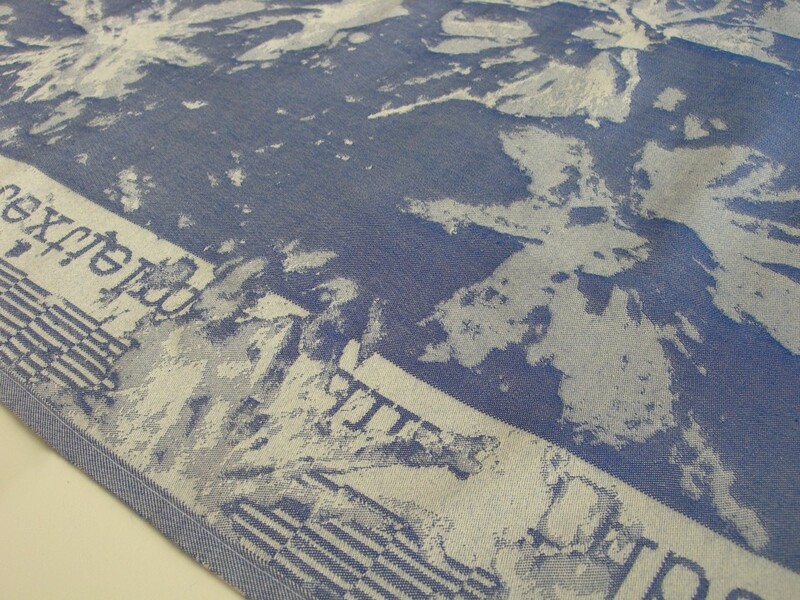 And there is also one tea-towel with a drying pattern; the pattern is formed by the water that you rub off the cups, plates or cutlery.